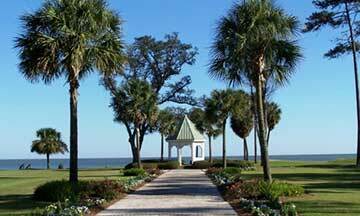 Located between Hilton Head Island and Savannah, Georgia, and surrounded by the waters of the Calibogue Sound, Intracoastal Waterway, and Atlantic Ocean, you will find Daufuskie Island, the southernmost sea island in South Carolina. 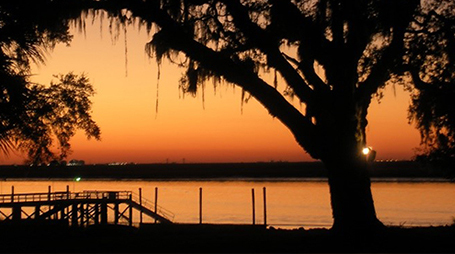 With a full-time population of just over 430 people, Daufuskie Island encompasses a rich cultural experience, with environmental preserves, private communities, beautiful golf courses, resorts, Gullah houses, diverse art galleries, and all of the history you could ever ask for. Since there is no bridge to Daufuskie, you will need to take a ferry or boat to reach the Island. Many visitors and residents use their own boats while a public passenger ferry departs from Hilton Head's Broad Creek Marina and arrives at the Freeport Marina on Daufuskie Island. 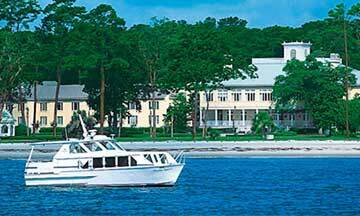 There are additional private ferries available to residents through Haig Point and Melrose, and also public water taxis between Daufuskie Island and Hilton Head Island, Savannah or Tybee Island. 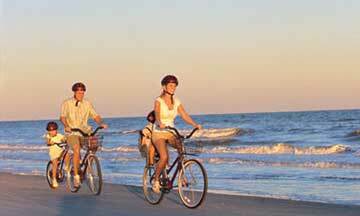 Daufuskie Island is a friendly community like no other. The moment you set foot on the Island, you know that an incredible experience awaits you. Residents consider their neighbors close friends, and kids play freely in the street. Not only are there homes for sale on Daufuskie, there are also lots available for you to build your dream home. Get ready to experience Island life at its finest. 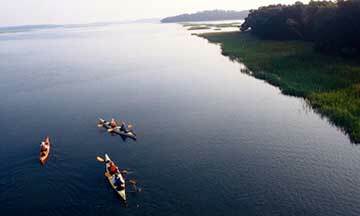 Although Daufuskie is just a short ride from Hilton Head Island or Savannah, Georgia by boat, the Island makes you feel like you've gone 100 years back in time. Still sandy dirt roads reveal an island that is rich in history and nature, with one of the most beautiful and fragile beaches on the East Coast. 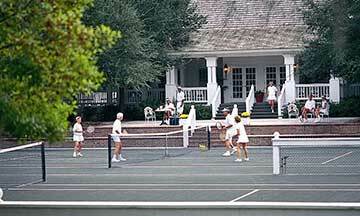 Daufuskie Island blends its fabulous history with modern day conveniences. Many historic landmarks, including the First Union African Baptist Church and the Haig Point and Bloody Point lighthouses are maintained as popular tourist attractions. Residents and visitors can enjoy beautiful modern homes, condominiums and resorts as well as leisurely activities like golf, horseback riding, tennis, and boating. 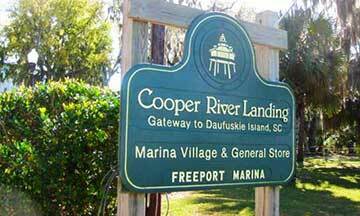 Welcome home to Daufuskie Island! 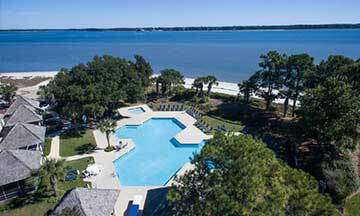 Daufuskie Island homes are located close to four restaurants which you can reach by golf cart or by pre-arranged ground transportation. Casual dress is the norm at all four. 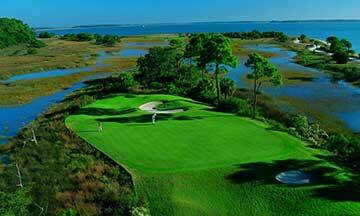 Daufuskie Island is home to 2 world class golf clubs. Come enjoy some of the finest golf that Daufuskie Island has to offer. 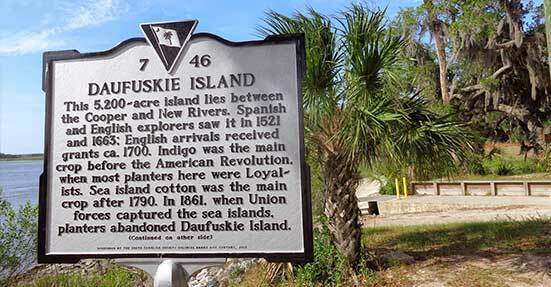 Below you will find some useful links and phone numbers for more information on Daufuskie Island.